In the months prior to this meeting significant effort was spent on setting up a complete demonstration at CRF in Orbassano (Torino). The task of the robot is to inspect a number of critical features on the engine, such as missing or misplaced components. As an additional challenge the engine was moving on a conveyor belt during the inspection process. This made the path planning somewhat difficult, especially because an automatic adaptation based on the current position of the engine was already integrated. 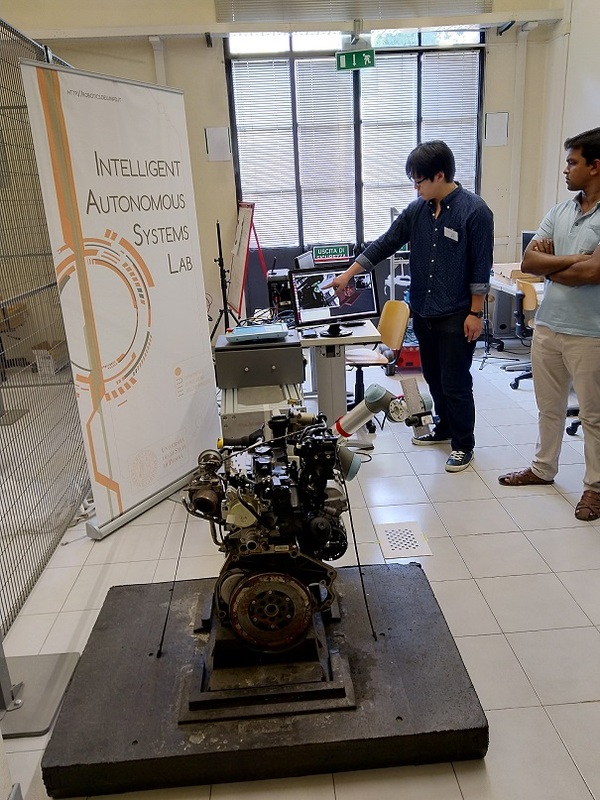 The demonstration was completed successfully and followed by a detailed evaluation to assess the performance relative to the technical goals set for the end of the project. Good progress was made in all aspects and demonstration #1 actually exceeded the plans made for this stage of the project. 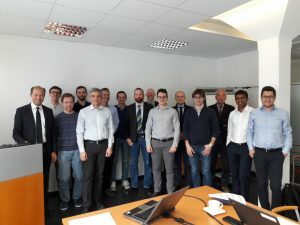 The second day of the general meeting was also spent on discussing initial plans for the exploitation of the project results and to obtain a more accurate estimation of the exploitation potential. In the first week of December 2018 Profactor, TI+Robotics and Marposs gathered at CRF for a first integration of the SPIRIT developments. This initial test dealt with the task of automating the inspection of an assembled engine on a moving conveyor belt. The integration was targeted on testing the single components such as the 3D sensor, the calibration, the synchronization of robot motion and data acquisition and the offline motion planning. The setup was well prepared by CRF and only a few issues related to the interfaces between the partners had to be resolved before first tests could be done. The results indicated that there is good progress in all aspects. Improvements are still needed in relation to hand-eye calibration and at the interface to the conveyor’s control unit (to avoid collisions in case of a system failure). For hand-eye calibration the new algorithm just developed by University of Padova will be integrated and tested in the CRF facility. Overall the developments are in a good state and the project is well on track for the first demonstration that is scheduled for end of February 2019. 24th of October 2018. SPIRIT Inspection Technologies. 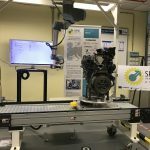 The SPIRIT project at a generic solution for a wide range of image-based inspection technologies. After a detailed investigation of the various test cases considered in the project first test have been made. All the technologies are assessed with a particular focus on their use in conjunction with robots and continuous scanning. The inspection technologies include the inspection of assemblies using 3D point clouds, the detection of surface cracks on forged parts, the X-ray inspection of honeycomb cores in composite parts and the thermographic detection of surface-near cracks in forged parts (from left to right). For all of these technologies process models have been developed that will now be used for the automatic path planning to scan the whole part. 29th/30th of August 2018. M08 General meeting. Right after summer vacation the consortium met in Padova where the general meeting was hosted by partner UNIPD. The meeting was dedicated to finalizing the definition of the use cases that are being investigated in the project with the goal of deducing a generally applicable software framework. 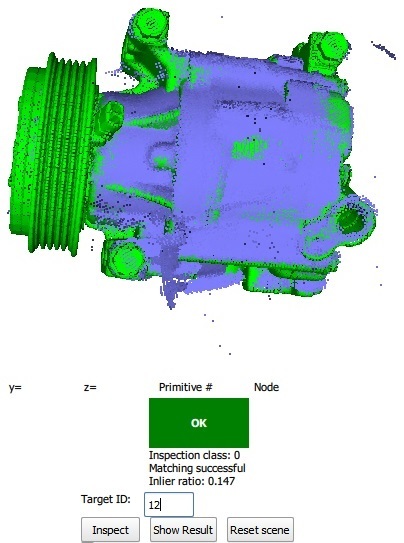 The modelling of the inspection processes and the collection of CAD data of test parts and workcells has made significant progress. Tests with different inspection technologies have been made to confirm the suitability of the technologies for the single test cases. At the end of the meeting a demonstration was made by UNIPD to show the recent process in terms of hand-eye calibration and temporal synchronisation of robot motion and image acquisition. 27th/28th of February 2018. Kick off meeting. The SPIRIT project had its first meeting at Profactor in Steyr. At freezing temperatures below -10° the whole consortium met to discuss the first steps in the project. A detailed presentation of the various test cases and their challenges was followed by a planning process that covered the next 6 to 9 months. All partners provided substantial background in their fields and – due to past collaborations – a smooth start of the project could be achieved. Already at this stage the main interfaces could be clarified and a common understanding of the main goals and the next steps was achieved. 2nd January 2018. The project SPIRIT is started. The project’s web page has been set up. 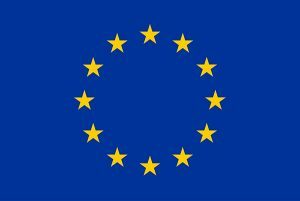 This project has received funding from the European Union’s Horizon 2020 research and innovation programme under grant agreement No 779431.